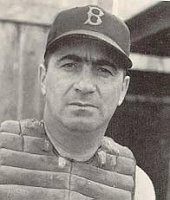 "Professor" Moe Berg, one-time big league baseball catcher, is going to Latin-America as an extraordinary good-will ambassador. His diplomatic mission, is almost without parallel in the annals of diplomacy. Morris “Moe” Berg was born in New York city on March 2, 1902, the third and last child of Bernard Berg, a pharmacist, and Rose Tashker. Berg began playing baseball for the Roseville Methodist Episcopal Church baseball team. In 1918, at the age of 16, he graduated from Barringer High School and during his senior year, the Newark Star-Eagle selected a nine-man "dream team" with Berg named as third baseman. After graduating from Barringer, Berg enrolled in New York University. He spent two semesters there and played baseball and basketball. In 1919, he transferred to Princeton University. Berg played first base on the undefeated team Princeton team during his freshman year. The following season he was the starting shortstop. Berg was team captain his senior season and had a .337 batting average. On June 26, 1923, Yale defeated Princeton 5-1 at Yankee Stadium to win the Big Three title. Berg had an outstanding day, getting two hits in four at-bats with a single and a double, and making several superb plays at shortstop. Both the New York Giants and the Brooklyn Dodgers were keen to sign the youngster. Berg graduated with a degree in modern languages having studied Latin, Greek, French, Spanish, Italian, German and Sanskrit. This later inspired the observation by Chicago White Sox teammate, Ted Lyons, that "he can speak twelve languages but can't hit in any of them." On June 27, 1923, he signed with the Dodgers for $5,000. He played 49 games with Brooklyn that year and batted just .186. At the end of the season, Berg sailed to Paris, France, where he enrolled at the Sorbonne. Then in January 1924, he toured Italy and Switzerland. He was optioned by Brooklyn to the Minneapolis Millers of the American Association for 1924. He was loaned to the Toledo Mud Hens in August and finished the season with a .264 average. Berg spent 1926 with the Reading keystones of the International League and was selected off waivers by the Chicago White Sox at the end of the season. Berg spent the next five seasons with the White Sox and converted to a catcher in 1927. The Indians purchased Berg in April 1931 but he played just ten games and was released at the end of the season. The Senators picked him up for 1932 and he played 75 games, hitting .236. During the winter of 1932, Berg, along with Lefty O'Doul, and Ted Lyons, went to teach baseball seminars at Japanese universities When the other Americans returned to the United States after their coaching assignments were over, Berg stayed behind to explore Japan. He went on to tour Manchuria, Shanghai, Peking, Indochina, Siam, India, Egypt and Berlin. He returned to Japan in 1934 as part of an all-star group of players, including Babe Ruth, Lou Gehrig, Earl Averill, Charlie Gehringer, Jimmie Foxx and Lefty Gomez. Despite Berg being a mediocre, third-string catcher, he was invited at the last minute to make the trip. He had with him a 16-mm movie camera and gave a welcome speech in Japanese upon the all-stars’ arrival. On November 29, 1934, while the rest of the team was playing in Omiya, Berg went to Saint Luke's Hospital in Tsukiji. Berg went up on the roof of the hospital - one of the tallest buildings in Tokyo - and filmed the city and harbor with his movie camera. Berg had been released by the Indians while he was in Japan. After his return to the United States, he was picked up by the Boston Red Sox. In his five seasons with the Red Sox, Berg averaged fewer than 30 games a season. After retiring as a player, he spent one year as the team’s bullpen coach in 1940. 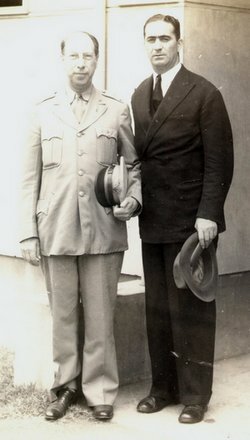 Following the Japanese attack on Pearl Harbor, Berg accepted a position with the Office of Inter-American Affairs on January 5, 1942. During the summer of that year, he screened the footage he shot of Tokyo Bay for military intelligence officers. From August 1942 until February 1943, Berg was on assignment in the Caribbean and South America. His job was to monitor the health and physical fitness of the American troops stationed there. Berg, along with several other OIAA agents, left in June 1943 because they thought South America posed little threat to the United States, and they wanted to be where their talents would be put to better use. On August 2, 1943, Berg accepted a position with the Office of Strategic Services. In September, he was assigned to the Secret Intelligence branch of the OSS and given a place at the OSS Balkans desk. In this role, he parachuted into Yugoslavia to evaluate the various resistance groups operating against the Nazis to determine which was the strongest. His evaluations were used to help determine the amount of support and aid to give each group. In late 1943, Berg was assigned to Project Larson, an OSS operation set up by OSS Chief of Special Projects John Shaheen. The stated purpose of the project was to kidnap Italian rocket and missile specialists out of Italy and bring them to the United States. However, there was another project hidden within Larson called Project AZUSA with the goal of interviewing Italian physicists to see what they knew about Werner Heisenberg and Carl Friedrich von Weizsäcker. It was similar in scope and mission to the Alsos project. On May 4, 1944 Berg left for London and the start of his mission. From May to mid-December, Berg hopped around Europe interviewing physicists and trying to convince several to leave Europe and work in America. Despite Berg's wartime vocation calling for anonymity, he did betray himself on one occasion. While at a field hospital in France, Berg could not resist the temptation to join in a game of catch with a couple of GIs. After the former major leaguer had made a couple of throws one of the soldiers remarked, "You're a pro." Soon afterwards the soldier added, "You're a catcher," another throw and his cover was blown, "and your name is Moe Berg." At the beginning of December, Berg attended a lecture by prominent German physicist Werner Heisenberg. His orders were to kill the scientist if there was any indication that the Germans were close to building an atomic bomb. Fortunately, Berg was not required to fulfill his orders as the Germans were far behind in the race to build an atomic weapon. Berg returned to the United States on April 25, 1945, and resigned from the Strategic Services Unit - the successor to the OSS - in August. He was awarded the Presidential Medal of Freedom on October 10, 1945 but he rejected the award. Some years after his death, the award was accepted on his behalf by his sister. In 1952, Berg was hired by the CIA to find out about Soviet atomic science. But the CIA received nothing in return. For the next 20 years, Berg had no real job, living off friends and relatives who put up with him because of his great charm. He lived much of his latter life with his brother, Samuel, and then his sister, Ethel in Belleville, New Jersey. Moe Berg died on May 29, 1972, at age 70, from injuries sustained in a fall at home. A nurse at the Newark, New Jersey hospital where he died recalled his final words as, "How did the Mets do today?" Some of the above information was obtained from www.wikipedia.com. Created July 15, 2006. Updated January 22, 2007.